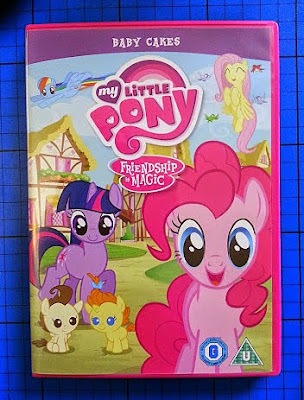 My 6 year old especially loves this DVD. He thinks it's hilarious. He can retell the entire story, and has done, many times. 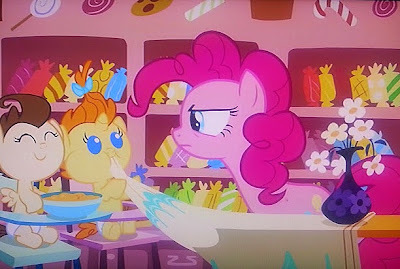 In the title episode, Baby Cakes, Pinkie Pie is called on to babysit for two little ponies. She thinks it'll be fun and games, and it isn't, it's a lot harder than she expects. Everything goes wrong and there's a huge mess and my little boys laugh and laugh. Of course everything turns out fine in the end, and there are lessons learnt by the ponies, and also hopefully a message sent to the children who watch. The My Little Pony: Frienship Is Magic series is really quite wholesome and morally good, without being too condescending. My lads enjoyed the rest of the DVD just as much. There's a little gentle peril, and a few more lessons in how you should treat others. The animation is good and bright, and although it's very pink with a lot of female characters, the stories themselves aren't exclusively female, so my boys can enjoy them for the tales that they are. My Little Pony: Friendship Is Magic - Baby Cakes is available from Monday 25th May and retails around £9. 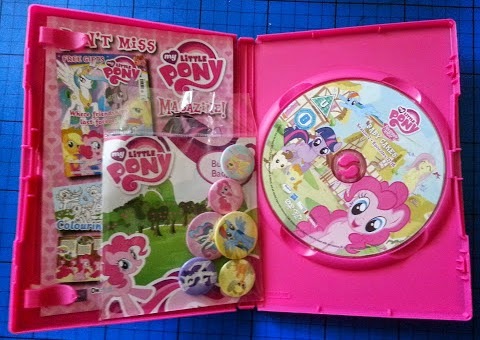 Hasbro Studios have very kindly offered a copy to one of my readers. Entry to the giveaway is by Gleam form below. The giveaway will end at midnight on Sunday 14th June after which no further entries will be allowed. UK entrants only please. Further terms and conditions are at the bottom of the Gleam form. All of my giveaways are shown on my giveaways page here..
Twinkle - it would be pink and sparkly! Black & white & I'd call her pirate queen! I'd design one in the colours of yellow and orange and call it Sunset Shortcake! My daughter says Choco Sweet. Yep she has a sweet tooth! Dolly Dove and she would be light beige with a cream mane and tail. Lissy Lollipop - decorated with pick & mix sweets & with suckable sugar mane & tail. I'd love to see a black and purple one called Bessie! I would have an aqua coloured body, with a bright yellow mane and I would call her Swirly whirly! Rainbow Rain! 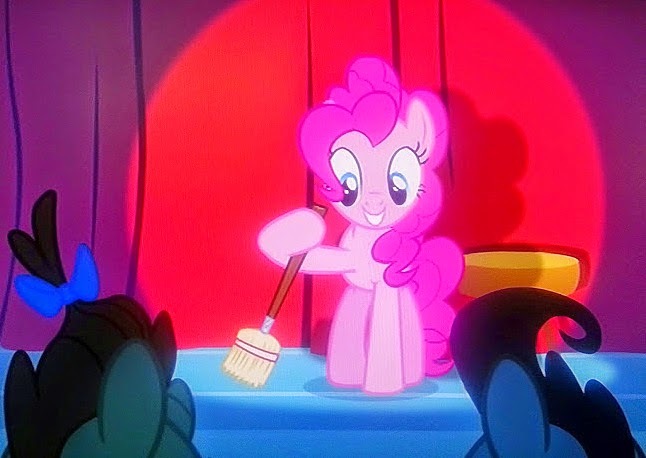 and she would be pink with rainbow hair and a little rainbow on her bottom! It would be green and yellow. I would call it a sunrise! My little girl is always saying her favorite pony would be a mixture of Rarity & Rainbow Dash, (Beautiful & Sporty) so this mash up of ponies would be called Rainbow Rare & would be a white pony like Rarity but with Rainbow Dashes rainbow main & tail. Midnight Star - dark blue with stars on it. I'd call it Moon Child, and it would be dark blue with a crescent moon and a silver mane and tail. Violet Rainbow and it would be purple with a rainbow mane and tail.